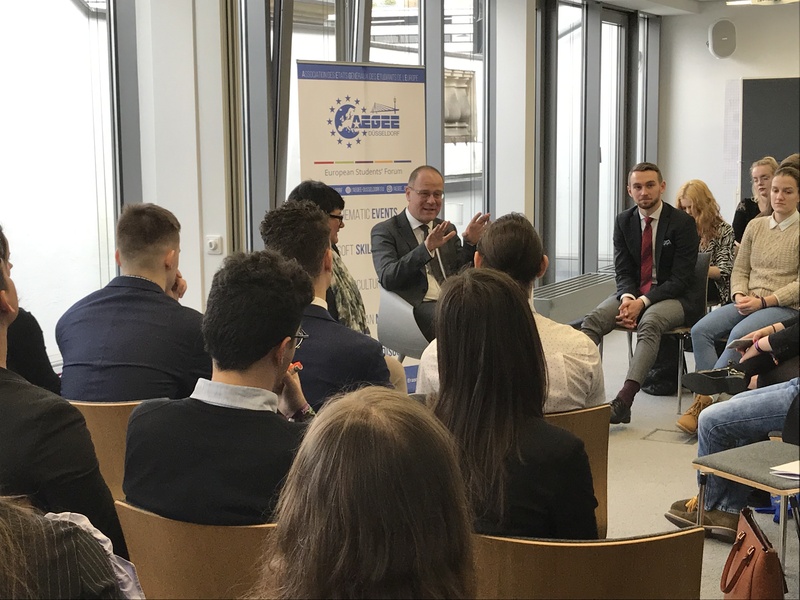 The debate was hosted by the European Students’ Forum (AEGEE) and was part of a series under the motto ‘Y vote’ – a campaign designed to encourage young people to vote in this year’s European elections. The participants came from ten different European countries (including two non-EU states – Serbia and Belarus). Commissioner Navracsics presented some of the main new EU initiatives for young people, such as the new EU Youth Strategy that came into force at the beginning of 2019, and highlighted key initiatives linked to the European Education Area. Much of the debate focused on the question of how to open learning opportunities to more people, in particular to those from disadvantaged social backgrounds. Commissioner Navracsics stressed the need to make the Erasmus programme even more open and accessible, which is why the European Commission has proposed to triple its budget in the next financing period after 2020 and to boost opportunities for school pupils and in vocational education and training. Confronted with the question of how young people can be better informed about existing opportunities he said that ‘Citizens’ Dialogues are the best opportunities to talk about our programmes and promote the European idea’. Some participants expressed frustration that the EU level is not doing more to push Member States into modernising and improving their education systems. Both MEP Verheyen and Commissioner Navracsics explained the limited competences the EU has in this field, but underlined the value of working together towards shared goals – while respecting the diverse needs and historical and cultural contexts in Member States and regions.